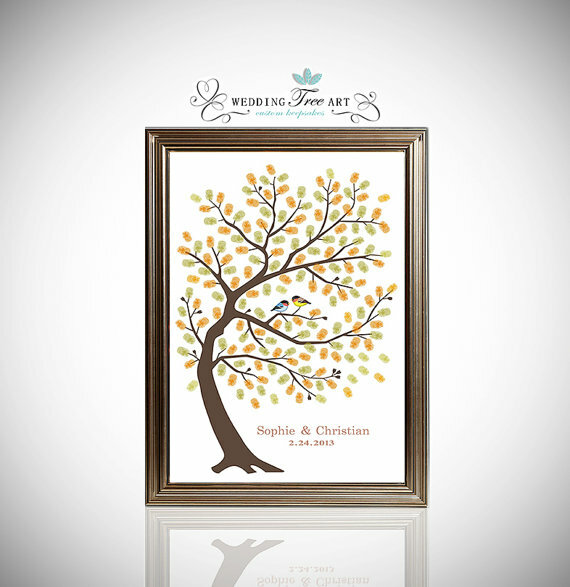 I have been wanting to share with you all some of the fun, handmade finds that were used in my gorgeous daughter’s wedding and reception. 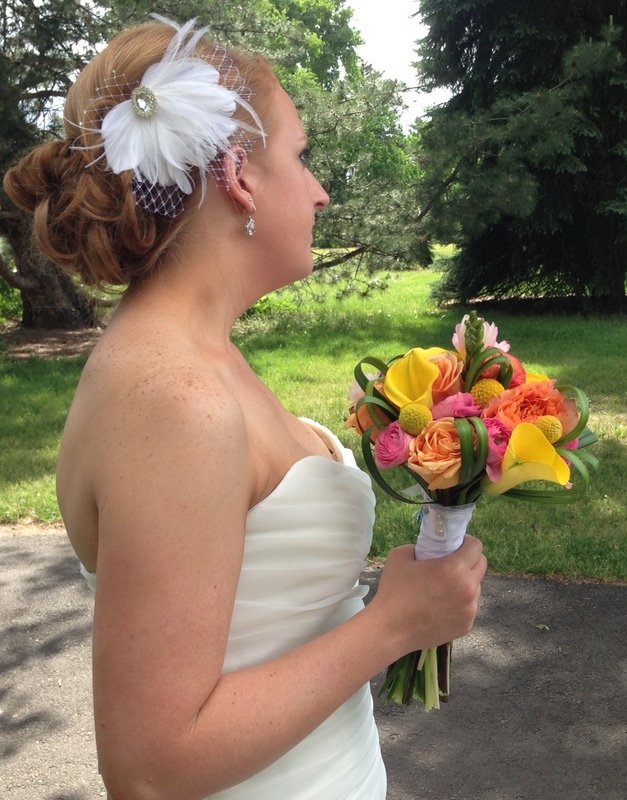 Now that the dust has settled a bit, I will show off some of the things we found on Etsy as well as some of the lovely touches that the beautiful bride made herself! 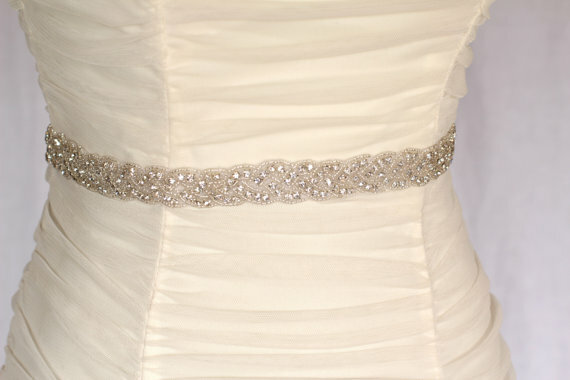 I am so happy to share this fabulous sash from Amie Noel Designs; this pulled everything together. 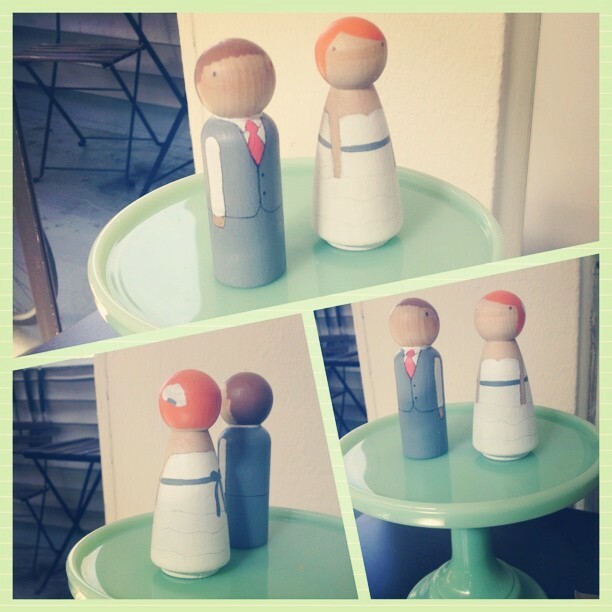 I can’t believe how well my daughter painted these little peg doll wooden cake toppers for her wedding cake (she baked the cakes too, btw… they are from the shop Goose Grease. I love how you get two sets and get to pick your paint colors! 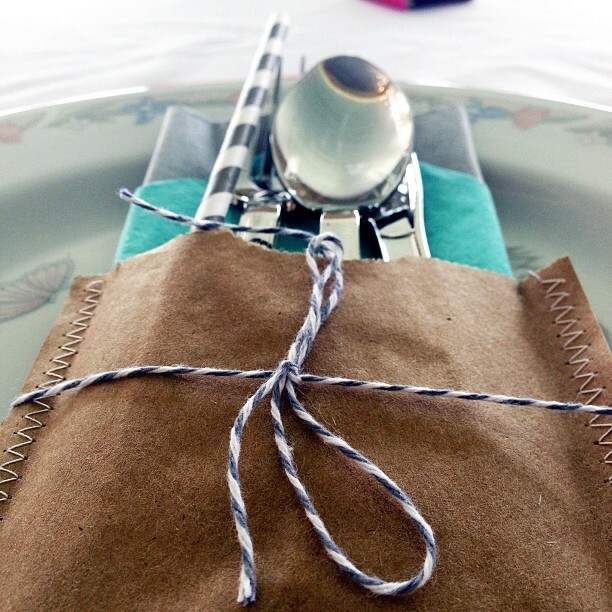 Fun little packets for the silverware were handmade by the beautiful, resourceful bride! One last photo zeros in on the cakes that were baked with love. 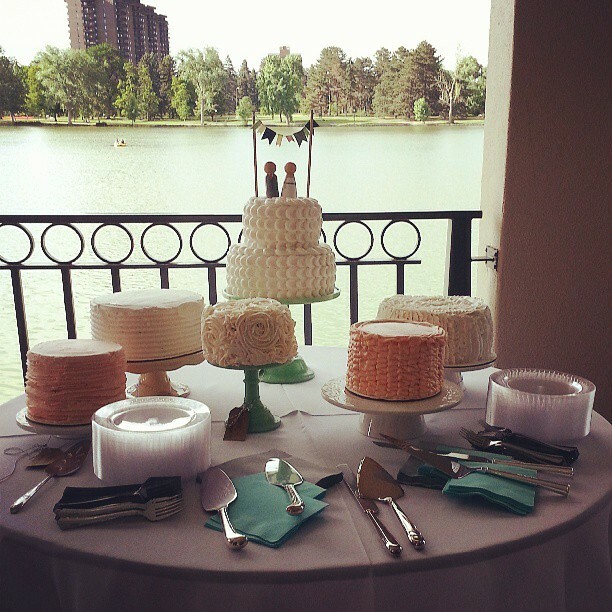 Wedding cakes baked by the beautiful bride herself! I plan to show more fun wedding goodies soon; I hope you got a bit of inspiration after seeing the fun extra touches that made the wedding and reception special. It has been ages since I posted here; it is a busy time of year for handmade; Mother’s and Father’s Day, Graduation and Weddings… whew! 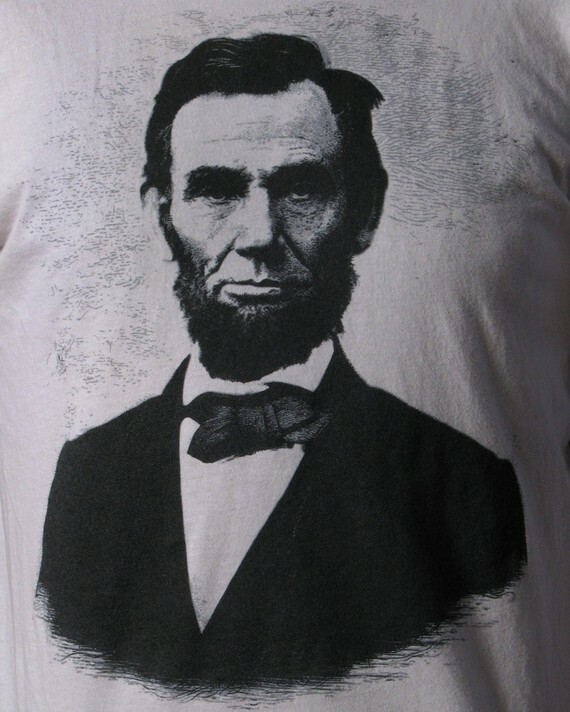 This tee from Scatterbrain Tees on Etsy would be perfect for the hip Dad who has everything. This shop is too cool for words and has a great selection of items for Dad! 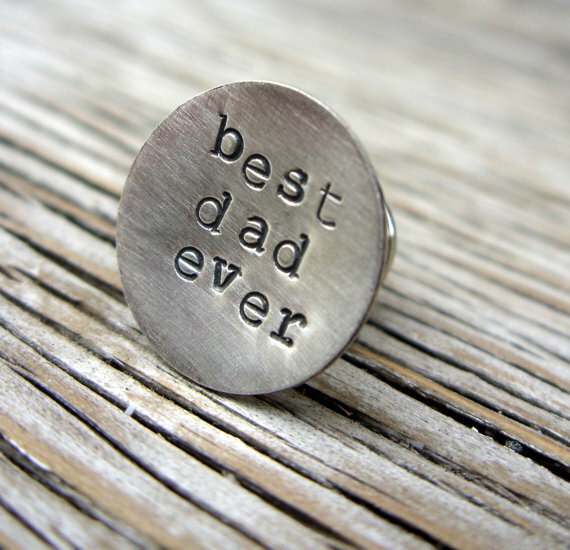 What a great gift for the hip Dad! 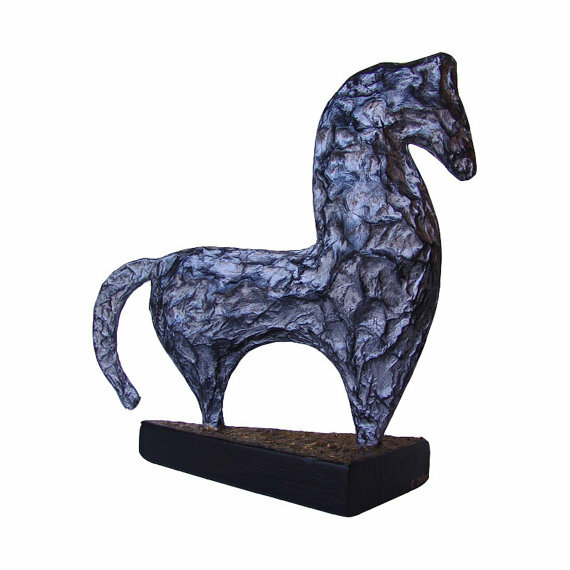 This sculpture would be a great gift for the arty Dad who loves mid-century, modern decor. Look at the amazing sculpture from Cool Stuff Art Gallery– Christine makes such cool, mid-century inspired art. What Dad wouldn’t love an original piece such as this? 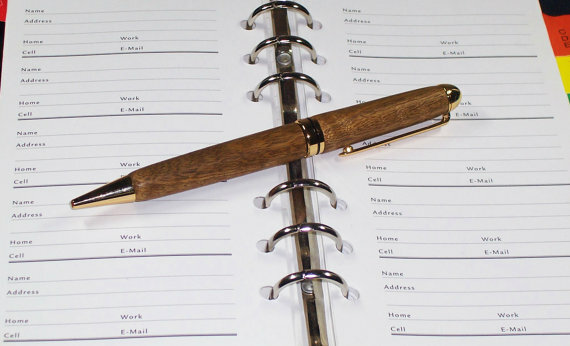 Now here is a great gift for the practical Dad; a handmade writing pen by DesignerPens on Etsy. Randy makes incredible pens using woods and acrylics. Maybe you have a Dad who loves to look put-together and puts a lot of thought into his wardrobe; the dapper Dad. Here is a tie-tack that will add a perfect touch to his look. I hope that these fun, handmade items have given you some inspiration- I intend to show some more finds soon.